CELEBRATING THOSE THAT CAME BEFORE US TO PAVE THE WAY AND THOSE DOING IT NOW! Black Girl Magic is a term we use often, but what is it? What does it look, sound, feel, and taste like? Maybe it doesn’t mean celestial perfection. Better yet it signifies the MAGIC within us that allows us to preserve, to create and SLAY with the best and with so much finesse! It taste like the crisp sweet sour notes of our Riesling. It looks like the joy on your mother’s face when you call just to, “check up” on her, and sounds like a thousand women saying “Yassss” to a Beyoncé ballad. It feels like the company of other women who understand your unique experiences. The ways in which you have to navigate the world. The way you continue to be a Boss and a lady. Save 10% & Much more by Getting Your Membership today! The McBride Sisters Wine Collection is a story of two sisters and their passion for wine. Though continents apart, Robin and Andréa were raised in the wine regions of Monterey, California and Marlborough, New Zealand; independently developing an appreciation for the craft of fine winemaking. Living across the world from one another, Robin and Andréa were unaware of the other for nearly half their lives. Despite the 7,000 miles that separated them, the sisters would eventually find their way to each other in 1999. Upon meeting, Robin and Andréa quickly discovered they shared the same passion for wine and had remarkably similar upbringings growing up amongst the vineyards. 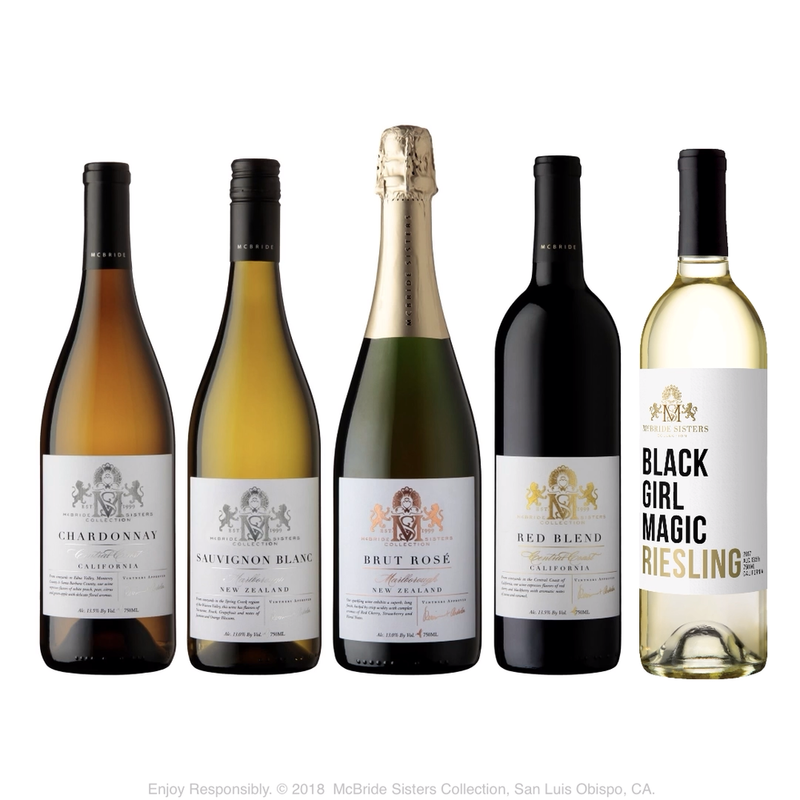 Robin and Andréa created the McBride Sisters Wine Collection to unite their parallel lives and passions. Now the largest African-American-owned wine company in the United States, the collection of wines represents a genuine sense of place. Both the New Zealand and Central Coast of California wines are true expressions of each region’s terroir and the McBride sisters’ signature style; a blend of old-world elegance with new-world finesse. Their story is proof of the bond that can form over a bottle of wine; a truth that comes to life with every McBride Sisters wine.